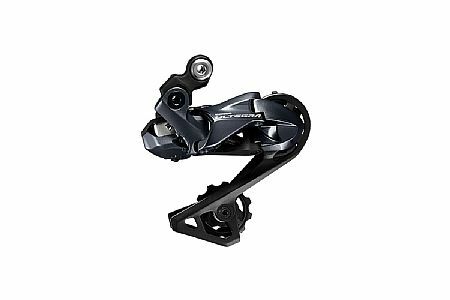 To Shimano's credit they made this derailleur fully compatible with the previous Ultegra 6800 series shifters so upgrading to the 34-tooth cassette doesn't require a whole new groupset. The shifting is as smooth as I have come to expect from Shimano. With this derailleur and the 34-tooth cassette I don't even think about hills anymore. I can conquer anything above sea level. I already had the Shimano 6800 series electronic shifting but the biggest cassette you could get with it was 32 teeth. When Shimano introduced the 8000 series with a 34 tooth cassette I jumped on it to help save my knees. To Shimano's credit they made the new 8000 series derailleurs fully compatible with the 6800 series shifters so if you want to upgrade to the bigger cassette you don't need to buy the complete groupet. You only need to replace the rear derailleur, cassette and chain. And the shifting is flawless. Very smooth and fast shifts. You will appreciate the performance. I've had this for a few weeks and so far it is Flawless. It shifts great and gives you the ability to have an 11-34 cassette which works great in the Denver area where we love to climb mountains.